Tweet In the years before the War, everyone thought they knew why architects installed angels on buildings. It was all about decoration. 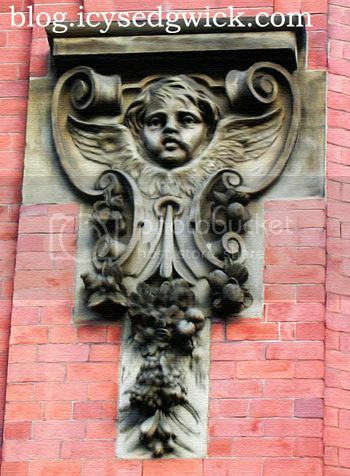 Especially the Victorians, they went mad over cherubs and anything else with wings. Covered their buildings and parks with the buggers. What no one realised is they weren't just stone copies - they were actual angels. I was there before the War, I heard the stories. My great-great-granddad, he was one of the architects. Knew all about them, how to capture an angel and encase it in stone. But then there was a decree from somewhere, God knows where. Literally, really. Humanity was too far gone, and the world wasn't working like it was supposed to, so they broke free and started raining down hellfire and damnation on the evildoers. At first it was the real wrong ones, the ones that we all agreed needed punishment. But they soon ran out of those, and what do you do with a horde of rampaging angels, all hell bent on retribution and judgment? We fought back, at first, but how do you fight a heavenly host? They went after anyone who'd had an impure thought, sweeping up kids who'd nicked a chocolate bar from a shop, or husbands who'd looked at their secretary's bum for more than a second. That was twenty years ago, and there are hardly any of us left. Of course, we're all full of anger at what they've done, so there's not a pure one among us. We learned early on that it wasn't safe in groups - it seemed to amplify any sinful thoughts, and they found us easily. Now we all hide out alone, trying to survive in an empty world. I've been living in an old school for ten years, but I know I'm not alone now. I can hear them downstairs. Even when they've shed the stone, they're not quiet. They don't need to be. Who needs stealth when you've got a flaming sword of justice? The cherubs are the worse - their airborne attacks are a thing of legend now. People got sucked in by the cuteness, and mown down for it. I don't know if anyone will ever find this, especially once I've blown up this place. It might not kill them but it'll certainly take the wind out of their sails, and remind them that humanity isn't going down without a fight. It's a little known fact but I do actually enjoy reading thrillers. If someone manages to combine thrillers with a spot of the supernatural then all the better! 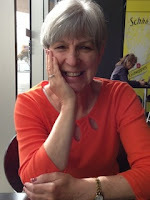 I've been reading Helen Howell's blog for some time now, and she posts regular serials and flash fiction. In February, her first adult novella, I Know You Know, was published by Crooked Cat Books, and I decided to pick up a copy - a psychic who uncovers a serial killer? What could be better! I Know You Know tells the story of Janice, a tarot card reader trying to eke out a quiet existence with the aid of her dead grandmother, who passes on her wisdom as a voice in Janice's ear. Janice encounters the rather odious Edgar Kipp, and during the reading the cards tell her that he's a serial killer. Naturally it's a bit of a curve ball for anyone to deal with, and Janice does her best to disguise what she's learned. Kipp realises she knows more than she's letting on, and so begins a cat and mouse game between them. Told through a mixture of present tense and flashback, Helen weaves a story that genuinely had me wondering how things were going to turn out. Flashbacks help deepen an understanding of Kipp's psychology, while Janice's relationship with the voice of her grandmother helps to explain Janice's abilities. This could have descended into a police procedural but the police involvement is kept to a minimum, apart from a detective who thinks there might be some substance to Janice's story. Janice is quiet and wants to avoid trouble, but she's likeable in an unobtrusive sort of way - she's not an attention seeker at all, she just wants to get on with her life. Novellas are always a quick read but I found I Know You Know to be a real page turner, and I really didn't anticipate the ending. The story gets going very quickly, and there could have been a danger that the segments told from Kipp's point of view might have somehow rationalised his actions, or tried to engender sympathy for him. Luckily they're handled in such a way that Kipp never becomes sympathetic - he just becomes more and more detestable. I really enjoyed I Know You Know, and I'd recommend it if anyone's looking for a quick yet thrilling read. 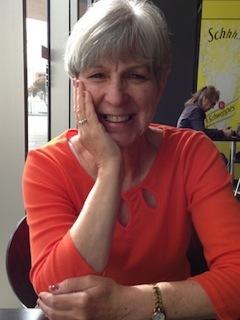 Bio: Helen is a fiction writer, who writes in several genres which include fantasy, noir, horror and humour. She has written several short stories, flash fictions and poems. Her work has appeared in both e-zines, anthologies and print publications. 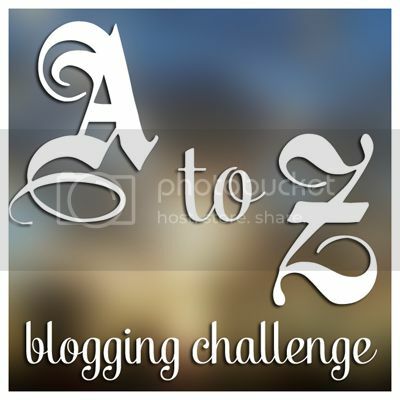 In July 2012 her debut novella, Jumping At Shadows, a fantasy fiction for 9 years- adults, was published as an e-book. 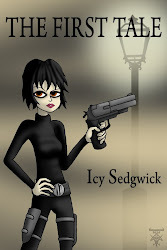 In February 2013 her novella, I Know You Know, a psychic thriller for adults, was published by Crooked Cat Publishing. She is a member of Friday Flash Dot Org. and is a regular participant in writing Friday Flash. You can find I Know You Know at Amazon US, Amazon UK, Crooked Cat Books, or Smashwords. Tweet I was really tempted to choose Zombieland for my final entry, but I've already featured zombies and not much comedy, so I thought I'd go instead for something silly that features a cameo by David Bowie - the one and only Zoolander (2001). Zoolander is named for Derek Zoolander (Ben Stiller), the egotistical and implausibly short male model who begins to question his career after he loses out on a modelling award to the equally egotistical Hansel (Owen Wilson). Thing is, he might be getting a bit old for modelling, but Derek is stupid enough to be a perfect candidate when an international fashion cartel need the Prime Minister of Malaysia assassinated to prevent his human rights laws affecting their sweat shop labour. Where there's a conspiracy, there's a journalist, and Matilda Jeffries (Christine Taylor) is determined to clear Derek's name after she works out the plot to use male models as assassins. She doesn't just have to work around Derek's colossal stupidity - she also has to face Katinka (Milla Jovovich), an intimidating PA working for fashion designer, Mugatu (Will Ferrell). Can Derek resist his brainwashing and save the Malaysian Prime Minister, or will he be the killing machine he's been trained to be? Zoolander is, in a word, silly. What other word could you use for a film that features a grizzled David Duchovny as a conspiracy theorist hand model, and a 'walk off' instead of a rumble? I think that's part of its charm - Derek and Hansel describe themselves as being "ridiculously good looking", and with all due respect to Stiller and Wilson (the latter of whom is cute in his own way but he's hardly Michael Fassbender), I think they know that they aren't. Still, in doing so, they expose the vapid and shallow side to male modelling, and make a good case for "looks aren't everything". None of the cast take it seriously, and send themselves up something chronic - yet they're not really make fun of themselves, more the stereotypes they portray. It's also perhaps one of the few films in which Will Ferrell is actually funny. Zoolander also wins prizes with me for being eminently quotable. OK, so a lot of them don't work outside of context, but fellow fans will always get the reference. (Might explain why me saying "I think I got the black lung, pop" in a high voice after a coughing fit sometimes earns me weird looks). Orange mocha frappuccino, anyone? I thought I'd end this post with my favourite scene, in which Hansel and Derek challenge each other to a walk off as they fight to prove who's the best male model, once and for all. Tweet I got even more stuck coming up with something for 'Y' than I did for 'U', so I'm going to totally cheat and pick 3:10 to Yuma so I have something I actually want to talk about! I should point out that I'm referring to the 2007 version starring Russell Crowe and Christian Bale, as opposed to the 1957 original. 3:10 to Yuma is essentially the Western equivalent of a road movie. One or more characters needs to get from A to B, and what happens to them en route is more important than B itself. In this case, Bale plays struggling landowner Dan Evans, who agrees to take outlaw Ben Wade (Crowe) from Bisby to Contention to put him on the prison train to Yuma. 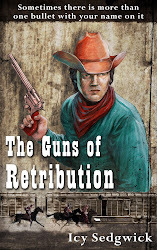 Dan wants to improve his standing in his son's eyes, and the reward money will certainly come in handy, so along with a small posse, away they go. On the way, they have to face in-fighting, Apaches, and the threat of Ben's gang catching up with them. The first time I saw 3:10 to Yuma, I wasn't sure what to make of it. For one thing, Ben is far more charismatic than Dan, and Crowe pretty much acts Bale off the screen. He might be an outlaw, but Ben just seems the more interesting of the two. There's depth to this particular wrongdoer, while Dan almost seems to be a caricature of a broken man. Besides, Ben steps in to defend the group when they come under attack, making him into less of an evil outlaw and more of a lovable rogue. Dan's backstory seems hastily sketched in, while Ben's is unravelled slowly, building a stronger picture of the man. Poor writing or just a difference in acting styles? I have no idea but sufficeth to say, Dan only becomes interesting in the last third or so of the film. Ben's interesting the whole way through. That's not to say it's a bad film. It's not - I really like it on many levels. The soundtrack is perfect, and the attention to period detail makes this feel like more of a Western than earlier films. I think this is one of the reasons why I prefer the later Westerns - the earlier ones almost feel like cartoons, full of stock characters and mythologising, whereas the later ones feel like they've been researched well, and come more under the heading of historical drama. That's not to say this isn't a 'proper' Western - it's got ranchers, outlaws, angry Apaches, railroads and towns with names like Contention. Plus it's set against the epic backdrop of Arizona - what's not to like? Tweet X was never going to be a difficult choice, and while I have four to choose from, I've opted for the most recent X-Men film, First Class. Released in 2011, the film took us back to the early days of the mutants, when Magneto (Michael Fassbender) and Professor Charles Xavier (James McAvoy) were still on the same side. After a short prelude in the 1940s, to demonstrate the stark differences in the backgrounds of the two main mutants, we move into 1962. The Cold War is escalating, helped along by the interference of Sebastian Shaw (Kevin Bacon), a mutant with the ability to manipulate energy. Xavier and long term friend Mystique (Jennifer Lawrence) are recruited by a special government initiative, and after an encounter with Magneto, they begin recruiting more mutants to the cause to help face down a mutant that the humans just can't tackle. But will the humans appreciate the help? I think the main draw, for me, was obviously Fassbender, and the man rocks the 1960s look like no other. If they ever decide to make another Avengers movie (as in the TV series), then Fassbender should be a shoe-in for John Steed. He'd also make a decent 1960s-era James Bond. Yes, his English accent waxes and wanes, growing ever more Irish as the film progresses, but I love him anyway. He makes Magneto plausible, and after suffering segregation and experimentation at the hands of the Nazis, you can see why he wouldn't trust humans not to do the same to mutants. McAvoy plays Xavier as slightly cheeky, almost a lovable rogue who's forced to grow up and accept the enormity of his task in educating mutants. I always enjoyed the relationship between the pair when played by Patrick Stewart and Ian McKellan in the original trilogy, and it's nice to see McAvoy and Fassbender maintain that level of distrust/mutual respect. One of the other things I liked was the inclusion of characters we rarely see. True, Wolverine pops up for a short scene (with Hugh Jackman putting in a cameo) but there's no Storm, Rogue, Cyclops or Jean Grey. Instead, director Matthew Vaughn and writer Jane Goldman pick their mutants from a different stable, so we get to meet Havok (Lucas Till), Banshee (Caleb Landry Jones), Darwin (Edi Gathegi), and Beast (Nicholas Hoult) on Xavier's side, and Azazel (Jason Flemyng), Emma Frost (January Jones), Riptide (Álex González) and Angel (Zoe Kravitz) on Shaw's team. Obviously Emma Frost and Beast have been fan favourites for a while but the inclusion of Azazel means they have some interesting story arcs to choose from for future films (especially if they pursue his relationship with Mystique).